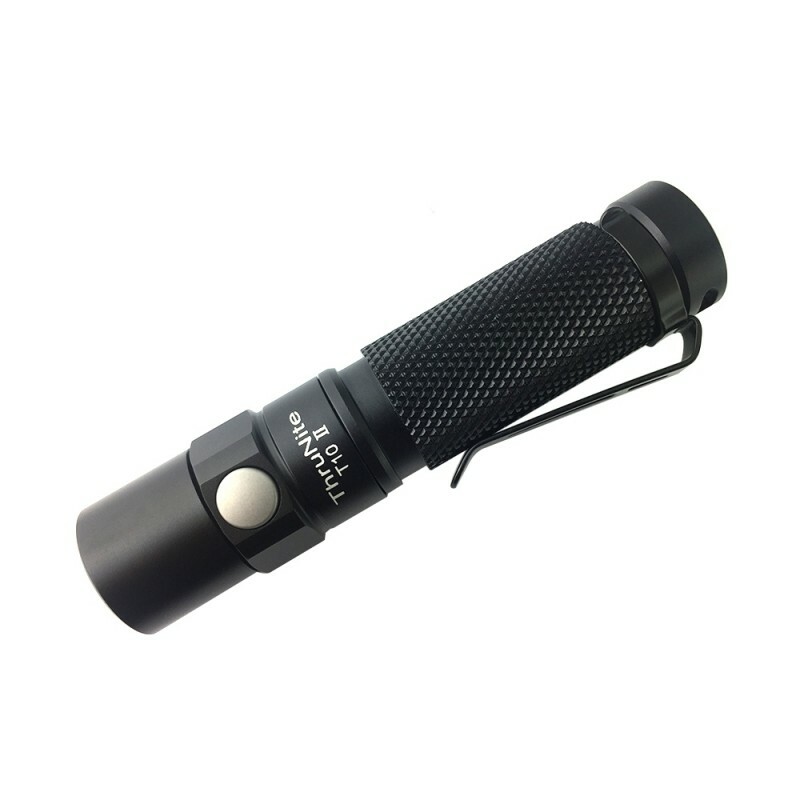 The T10 II tailcap-magnetic flashlight is the upgraded version of T10. It adopts the latest CREE XP-G2 LED for a max output of 550 lumens using a 14500 battery, or 160 lumens with a Ni-Mh battery. Compact design fits comfortably in your pocket, backpack, or anywhere else you keep your light. Magnetic tailcap free your hands. Be perfect for any hands free mechanic work. Aircraft-grade aluminum body with premium type III hard-anodized anti-abrasive finish. Removable pocket clip for easy to use. *Runtime tested with AA 2450mAH Ni-MH battery, using a 14500 battery will increase max output to 550 lumens. When the light is on, long press the side switch to cycle through low and medium modes. When the light is off, long press the side switch to get firefly mode. Double click to turn to high mode from any mode. Another double click to get strobe. The light will turn on in the last mode accessed, except for firefly, high and strobe.